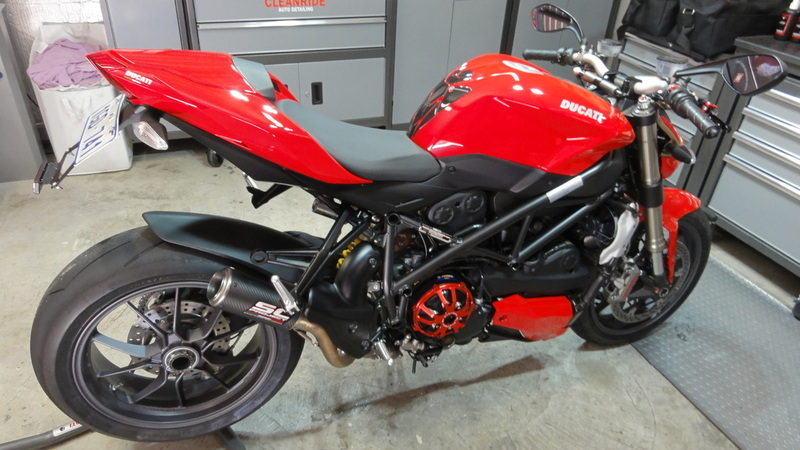 Well after the SC-Project System was fitted and then tuned by Protwin it was time to get reacquainted with the Street fighter and we are not talking candles and moon lit dinner but more a gentle twist of the throttle to see what we had to work with and how it all felt..... And boy were we not disappointed! 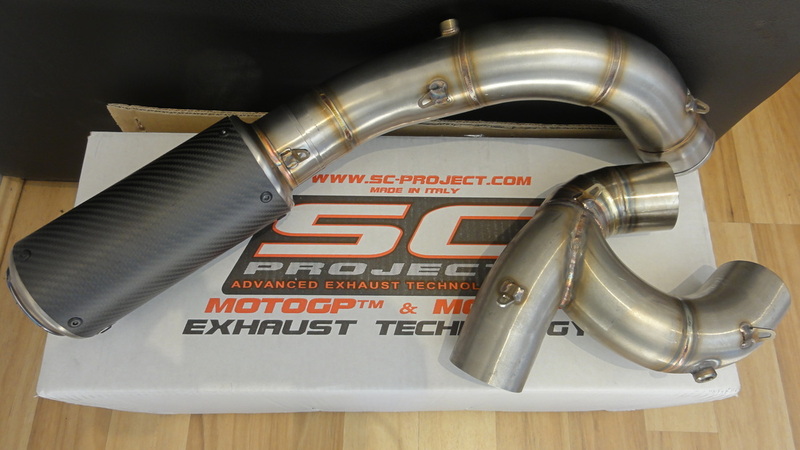 The noise is amazing bordering on Moto Gp but that is what the SC Project System promised and yes as you can see it delivers this in bucket full’s everywhere! While it was ...in for all this work we also added a quick shifter or should we say a teleportation device as once we got used to it a quick tap and bang she teleports forward with gusto and a sound to die for! All these bolt on's really would be nothing if it wasn’t all brought together with the tune and this is where Justin has really excelled and tamed this beast so it’s just so easy, smooth and gentile to ride but with gobs of power everywhere it s just a joke! The grin from ear to ear just won’t wipe off, if you want to love your Ducati more a tune is a must no matter what model of modification combo you have, if it’s not all working in sync your just missing out on what you could have, a smooth throbbing V-Twin that is so easy to handle in every situation and really a joy to ride! Big thanks to Justin and the Team at Protwin along with Matt at Motoroar for the SC Project System. Stay tuned for the next instalment as we look to add a few finishing bits and really get her turning heads! 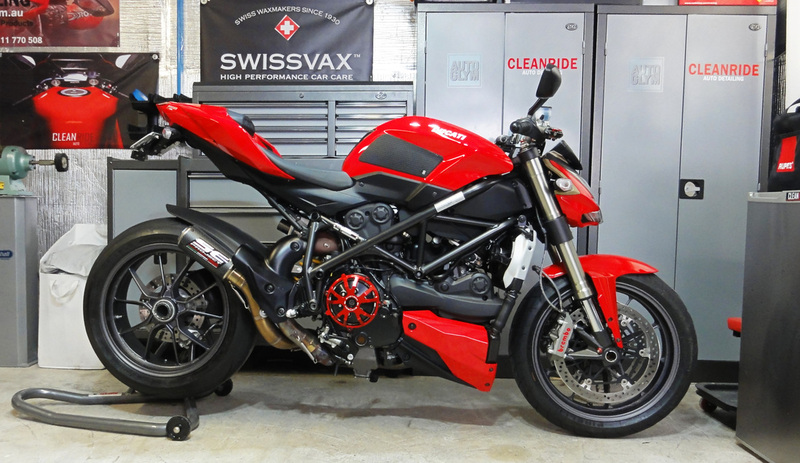 Well as mentioned on update#4 we were getting ready for a tune to get Project SF1098 Strong and on song along with tuning out the lumpy and jerkiness nature of a V-Twin but still keeping the throb that we all love. We spoke to Pro Twin in Wangara www.protwin.com.au about a tune and what it was involved? Justin the Owner Operator took us aside and explained the whole process of a “tune” and how it works along with how the bike will ride and respond after, he then went on to show us graphs of pervious clients who have had similar work done and how a Tune can really “Clean” up the fuel and ignition points so you have a fatter torque curve with smother and far crisper throttle response from the get go and really transforming the ride, from hearing that we were sold. 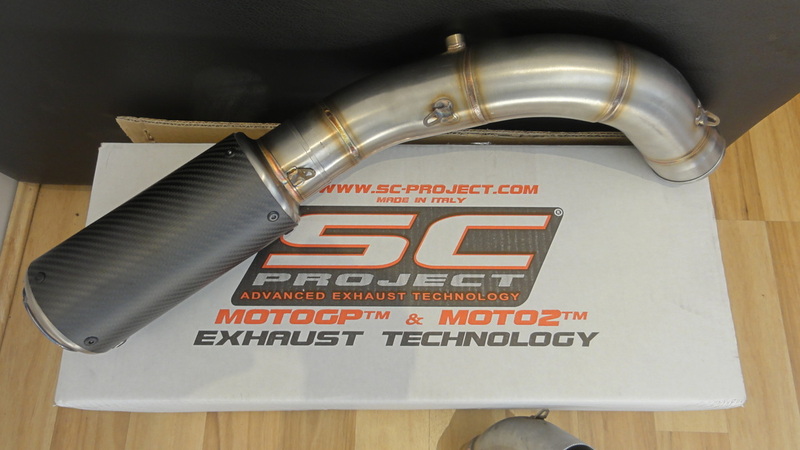 A Tuneboy Tune was booked and ready to go, we however had a little twist as a few weeks prior were looking at an alternative to the Termi system and we saw right here in WA www.motoroar.com.au who are the Official Australian Supplier of SC-Project, they are an Italian Manufacture of Exhausts and supply to MotoGP teams so that being said what would be the chances a MotoGP Exhaust supplier here in WA would have something on the shelf for us? Well very good as it so happens as they had a CR-T system with our name on it literally! Not to mention that Pro Twin are also agents For SC Project so you can hear them running and buy SC Project Systems and have them fitted all under one roof with the added assurance they will look after you should there be any issues with your current set up. So Project SF1098 was dropped off and the Keys were handed over, stay tuned for what happens next! We are now moving into the exhaust and tuning side of things and have been in contact with a local supplier right here in Perth WA that carries stock on the shelf, a few umms and arrrs on what system to go and we locked it in - Very exciting! A local tunning house we will be bringing you graphs and videos to see if we have made or lost power as well as putting the whole project together. Steve carries a massive range of aftermarket parts from all the big name brands in the industry and is such a helpful guy that can offer you the best advice when modding your late model euro or jap ride and again he is based right here in WA so your supporting a local guy and pricing is on par if not better than ordering overseas, what more could you want? 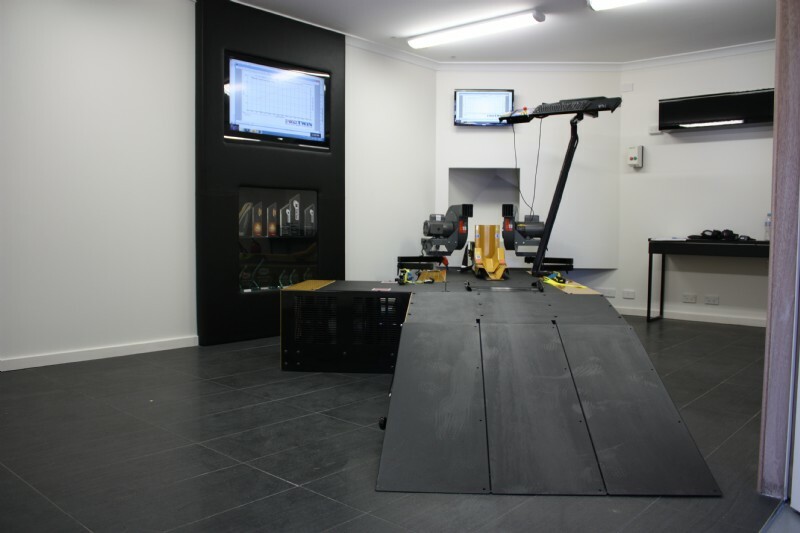 Stay tuned for the next instalment as we get ready to tear up rubber on the dyno! 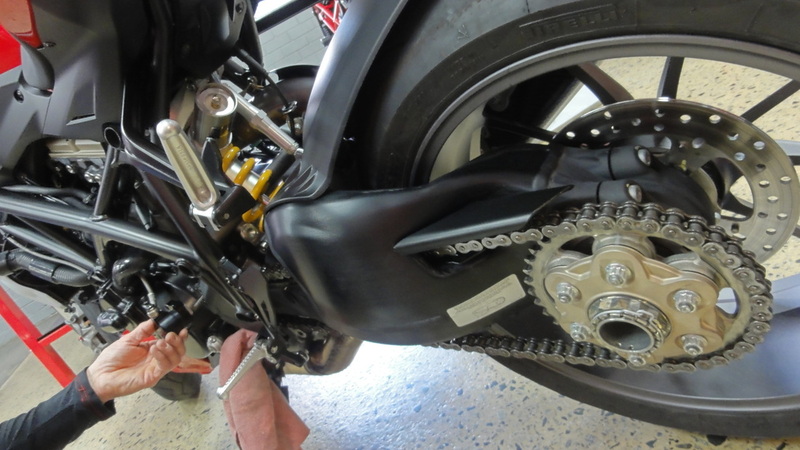 Well after a little splurge on a few shiny bits we needed to get down to the fundamentals of the build and that is the insurance of servicing the belts and getting these little bits fitted with the minimum of fuss. 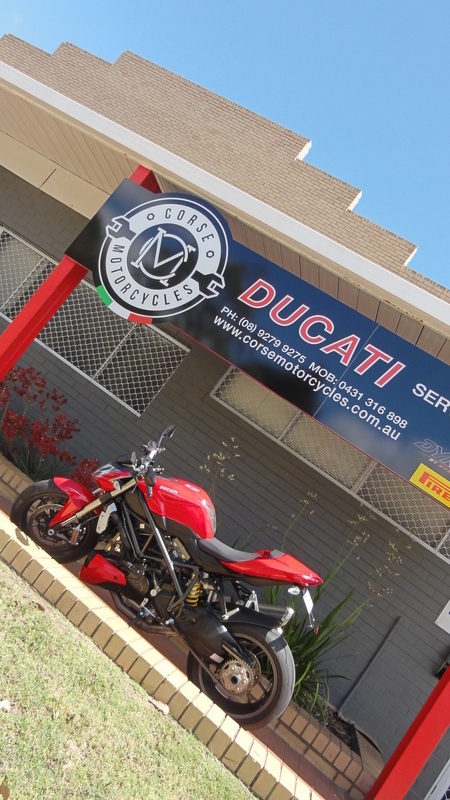 We enlisted the services of Perth's Premier Ducati service centre, Corse Motorcycles who are located in Bayswater and can offer simple servicing and fault finding all the way through to engine builds & Race bike Preparation and not forgetting custom bike builds. As we dropped off project SF where we were greeted by Anthony who talked us through what they would be doing and when it would be ready for collection along with the total cost so we know where we stood every step of the way. The very next day as promised we received a call and we made our way over where a box of bits that had come off were waiting for us along with a slightly different Street Fighter that sounded louder and a little angrier as it whirred into life rattling around, we had the Oberon Clutch Slave fitted that made the new Evotech levers even easier to operate along with the Oberon clutch plate and stainless springs followed by the Evotech Cover that really pops! 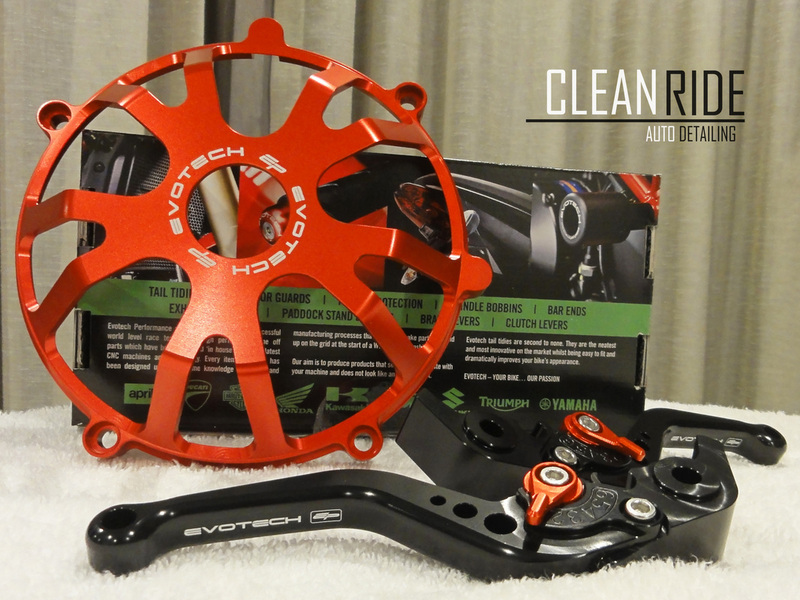 Here we are at the next instalment and now we can start adding a little Ducati Bling from a company called Hurtle Gear. They are located in Sunny Bunbury in the States South West and carry over a 10000 different product lines and best of all if you order a stocked line before lunch you will have your goods the very next day if you’re in the metro area now that is service! They are importers of GoPro,LSL,RAM Mounts,Evotech Performance,Stainetune and R&G to name a few , both Dave and Graeme will bend over backwards to help answer and questions you may have! So we went shopping for Leavers and a Clutch cover to really let the rattle out, so we jumped online to www.hurtlegear.com.au and found it was a breeze to navigate, just choose your manufacture and model and bam - everything they have comes up! After placing our order the very next day our gear was in and we went to work on coating the cover with a Glass Coating from Modesta. The issue you have with open clutch covers is dust from the clutch packs so covering the plate with and cover with Modesta BC-05 made sense so there is no chance of etching and cleaning will be a simple hose off affair not to mention it’s made the anodising really pop! Cant wait to get this on! Well after a few rides it was time to start one of many washes to get rid of the built-up Road Grime & Grease. So we got to work on her but couldn't stop just yet as the paint needed some work to get right, we employed the Rupes 4 step system along with some spot sanding to get rid of a few deeper scratches and scuffs and all up for a quick 5 hour session she came up oh so RED!! We topped it off with one layer of Swissvax Crystal Rock, at $7500 a Kilo its not cheap however we do offer this as an upgrade for only $90.00 more on a Platinum Detail and it will last over 1 year and can be layered. Enough of this, now onto the Mods! First thing I noticed riding it around is wow is that clutch heavy!! So after a bit of research I came across a local supplier that deals with a brand called Oberon? Its all machined and manufactured in the UK so you can be sure of the quality and this little cylinder can give you back some feel while making it lighter? 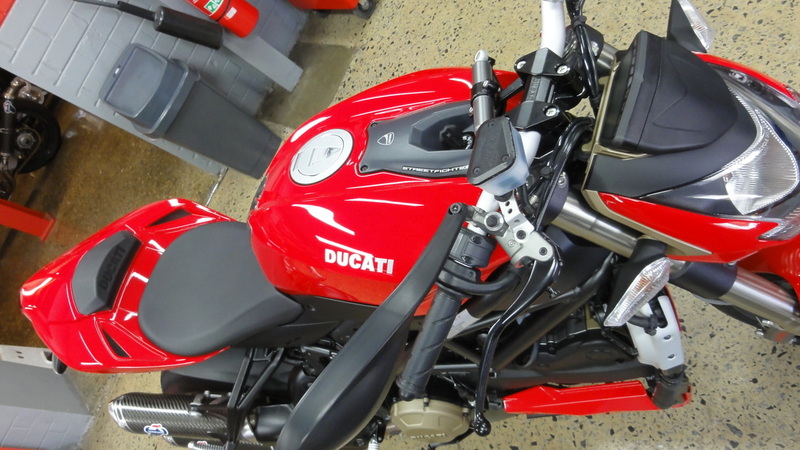 Well this Business checked all the boxes as they are a local business and carry all their stock right here in WA and David who owns and runs the Business is a very knowledgeable guy about all things Ducati and his Customer service was second to none, getting back to me straight away and dispatching the parts so I had them the very next day, what more could you ask for? 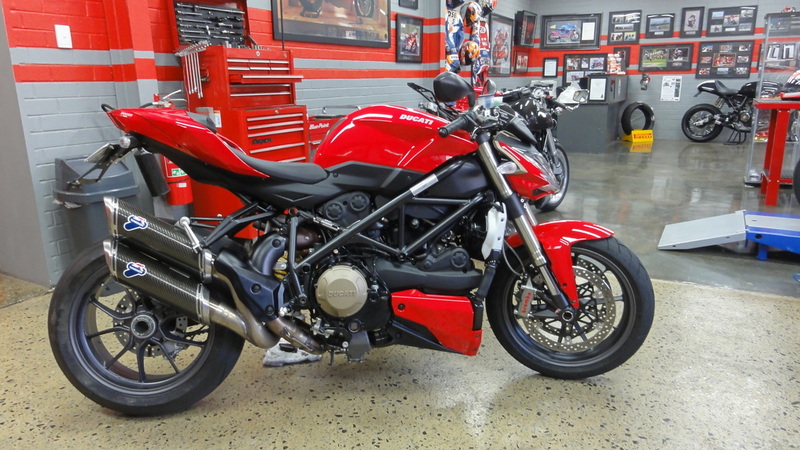 In the lead up to this year’s Italian Ovest brought to you by the Ducati Owners Group or DOCWA as they like to be called, we thought a Ducati Street Fighter 1098 would be a great project to start off with. We were able to find a local low km example that had been well cared for minus a few small battle scars that with the help of a “Clean Ride” detail we would be to get looking tip top. But this is just where the project begins as we plan to Clean, Detail, Protect, Service, Modify and Customize this Italian Vixen using the help and guidance of only Local retailers and Agents here in WA, we can’t order anything from the East or overseas it has to be stocked right here in WA at an attempt to show you what we have here in WA that we might not even know is right under our noses? 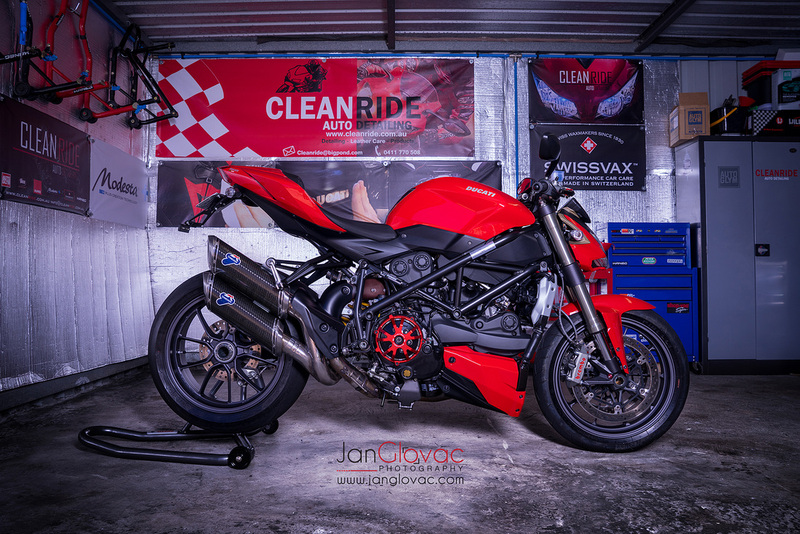 So come with us now on a journey through time and space as we work our magic on this stock-ish Ducati Street Fighter and start the hunt for local parts, we hope you will enjoy it!